Happy Independence Day to all of our US readers and Americans all over the world! 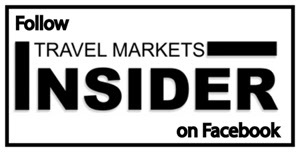 This week, Travel Markets Insider looks at some really exciting and ground-breaking innovations in regional airports. Dufry is giving sense of place center stage in Sao Paulo’s Guarulhos International Airport (GRU) in 500 square meters of Destination space that spotlights local neighborhoods with Brazilian brands and made-in-Brazil souvenirs. See page 1 and 4. In New York, JFKIAT-managed Terminal 4 in JFK International Airport has launched the first virtual reality entertainment center at an airport. The six-month pop-up, a partnership between Paradies Lagardère and airport technology company PeriscapeVR, offers passengers the chance to experience five curated fun-filled categories of VR content in the middle of the retail hall. Page 2. In more airport/aviation news, Vancouver International Airport broke ground on the first of 75 capital improvement projects that will take place over the next 20 years at an estimated cost of $9.1 billion. Page 2. TSA has expanded security measures for US-bound passengers beyond LAGS (liquids, aerosols and gels) to now include powders. But duty free and travel retail products packaged in STEBs are exempt from the new restrictions. See details on page 2. As governments of struggling Caribbean island nations are wrestling with balancing budgets, the Caribbean Hotel and Tourism Association is strongly urging them not to raise air-travel related taxes and duties which could seriously impact tourism numbers. See speech by CHTA Director General and CEO Frank Comito on page 3. The British cruise market welcomed a record number of ocean cruise passengers last year. Page 3. The IWSR reveals the Top 100 largest spirits brands. Giant domestic Asian brands dominate but international best-sellers are not far behind. Page 4. Tito’s Handmade Vodka, which has shot up from 93rd place to 35th on the IWSR list in the past two years, further enhances its international reputation with an exclusive partnership with the European Bartender School. See more details on page 4.